Click the link to view pictures. 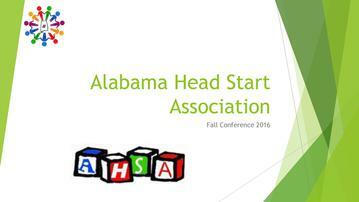 The Alabama Head Start Association is the unified voice represnting early education and advocacy for low-income children and families in Alabama. The Alabama Head Start Association through strong leadership and advocacy, supports local Head Start programs and their partners in the delivery of quality comprehensive services to children and families and the community.